Choking or common mode impedance is the balun property that has the greatest bearing on its effectiveness in reducing common mode current. 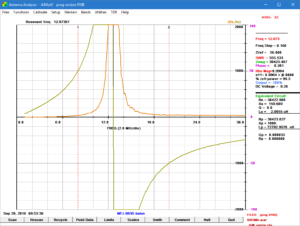 Above is a scan of the common mode impedance Zcm from 1 to 30MHz. 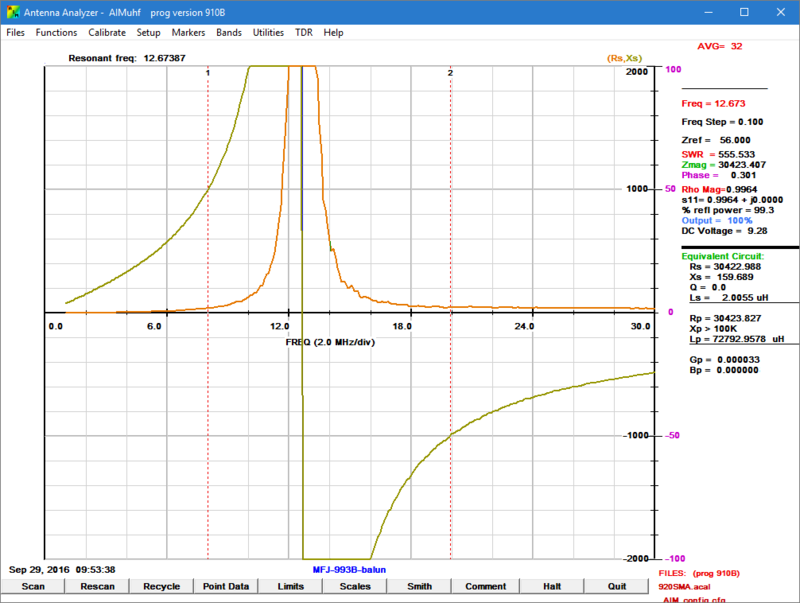 It can be seen to exhibit a very high but quite narrow peak around 12.7MHz, but |Zcm| is below 1000Ω outside of 8-20MHz, so it has moderate or better Zcm on only the 10MHz and 14MHz bands. 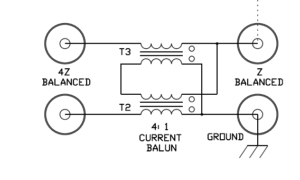 It would be naive to think that such a balun will have a near ideal transformation from 1.8-30MHz, fortunately that is not important when used in concert with the ATU function (which is usual). That it not to say impedance transformation is irrelevant, the transformation may improve ability to transform some loads efficiently or at all, or may degrade it. See Why the preference for Guanella 1:1 current baluns for HF wire antennas for further discussion. Because it is such a poor balun from the Zcm perspective, and the relative unimportance of exact impedance transformation ratio, I have not measured it. However, the fact that it is nominally 4:1 remains relevant. In my case where the ATU will not tune the antenna on most bands above 20m, a 4:1 transformation or thereabouts would actually worsen the problem. Before buying the ATU I had guessed at the likely implementation and my guess was pretty correct. 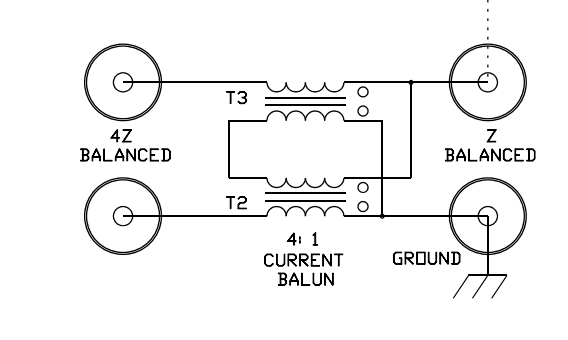 I would not choose the type of core that is used for a 1.8-30MHz balun with high choking impedance, and secondly I would not house it in a metal enclosure. So, whilst it would be possible to rewire the two chokes as a cascade of 1:1 Guanella baluns, the two problems mentioned remain and I deemed it not worth doing. A good external balun is going to beat it hands down. The MFJ-993B internal balun is a 4:1 Guanella (current) balun. It has very high choking impedance over a quite narrow range, and mediocre to poor choking impedance on all but two HF ham bands (30m and 20m). The problems are fundamental, and there is no simple rework to overcome them.